Study Spanish at the premier Spanish School in the amazing city of Campeche, Mexico. Our Spanish school in Campeche, Mexico will offer Spanish students from all over the world the highest level of Spanish education available. The Campeche Language School is part of the prestigious Teach Me Mexico network of Spanish Schools that are widely recognized as being among the best in Mexico and the World. We also work with LiveLingua.com to offer online Spanish lessons. Campeche is one of the hidden gems of the Yucatan peninsula. 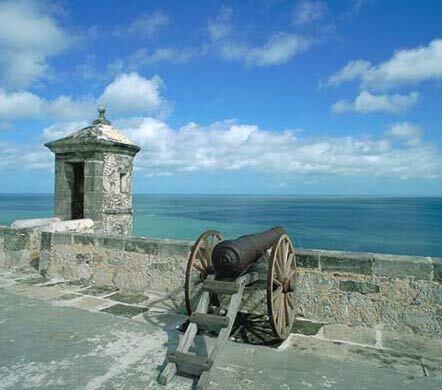 Its colonial downtown is an immaculately maintained and is surrounded by an ancient fortress wall. It is on the Gulf coast, and right on the edge of the ocean. It is known also for the fantastic castles of Cortez on the nearby hill overlooking the city. The Campeche Language School is ideal for people who are looking to explore the amazing Yucatan Peninsula, but would like to stay away from the overcrowded and overpriced locations such as Cancun and Playa del Carmen.If you have any questions, please do not hesitate to contact us. The Campeche Language School offers a wide variety of Spanish packages, so you are sure to find what you are looking for. You can also contact us to create a custom Spanish package. All of our Spanish School look forward to the opportunity of servicing your Spanish learning needs.